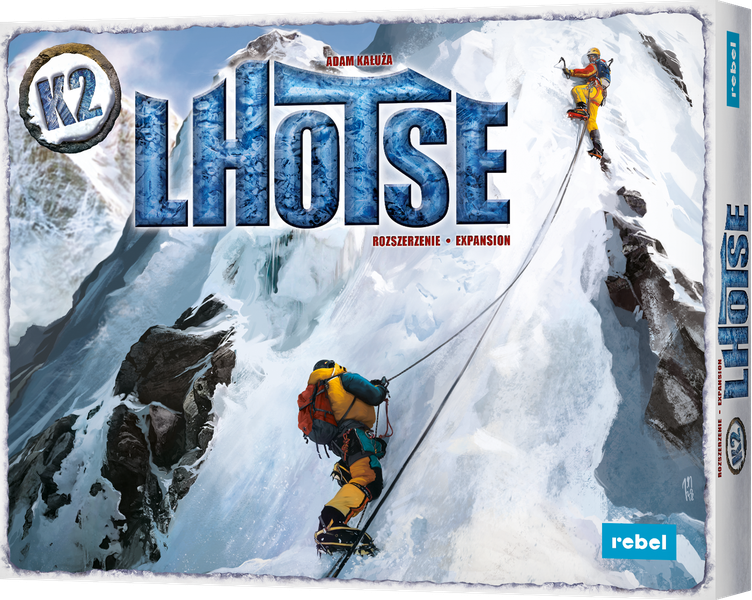 "Lhotse" means "the southern peak" in the Tibetan language. The fourth highest mountain in the world, located south of Mount Everest, is a part of the same mountain range. It owes its name to Charles Howard-Burye, the captain of the first British expedition to these uncharted regions of the world. The southern wall of Lhotse is over 3,000 meters of a very steep and dangerous climb. Many great mountaineers have been defeated by the peak. Some paid for their daring attempts with their lives, like the famous Polish climber, Jerzy Kukuczka. Even such an outstanding climber as Reinhold Messner, the summiter of all eight-thousanders of the world, withdrew from high mountains climbing forever, after attempting to get to the top of Lhotse by the southern wall. So far, probably only one team of climbers managed to win with Lhotse, attacking from the south. Sergey Bershov and Vladimir Karataev in 1990 defeated one of the most difficult challenges of modern mountaineering. 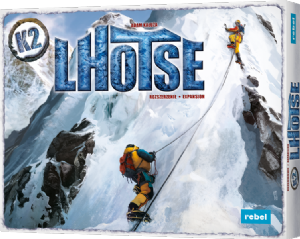 K2: Lhotse is an expansion of K2 in which the players' task is to lead the team of two climbers as close as possible to the summit. The expansion includes an alternative, two-sided board and new weather tiles. K2: Lhotse also introduces a completely new mechanics - fixed rope tokens which allow you to set your own routes. Each side of the board offers a different scenario and a different challenge. The first scenario is a demanding and strategic fight against time and weather. The board showing the southern wall is divided not only by height, but also into three vertical sectors, dividing it into the eastern, central and western parts. The new set of weather tiles will show a different aura depending on the sector. The player's toolkit has been enriched with fixed rope tokens thanks to which players will be able to set up new routes between the already known ones. These ropes will allow for more efficient escape from bad weather or deadly landslides. The second scenario is a fast race to the top of Lhotse from the safer side, the southern pass, which is also the easiest way to Mount Everest. Players will have fewer cards to use, as they will have to discard 3 of them at the very beginning. However the better cards they discard, the more extra victory points they receive at the end of the game! Additionally in this scenario the time becomes even more important: the climb will last only 15 days, so players will have to hurry up their way to the top.